Oh the girls look very different now that their locks are off and they look much happier now that they are not carrying that weight. For me what a joy sorting through the fleece, cleaning each lock and then dyeing it a fab colour. Some of the locks are over 14 inches long from tip to cut end. I will be selling packs at the Doughty’s Roadshow at Mundford on the 29th April. Bags start from £3.00 for a 25gram bag. I am also dyeing small pieces of fabric to match each batch. It is 100% cotton from Empress Mills. New Workshops have been added to the website including a holiday club in August for the children and parents. From 10 am till 2pm on a Wednesday. 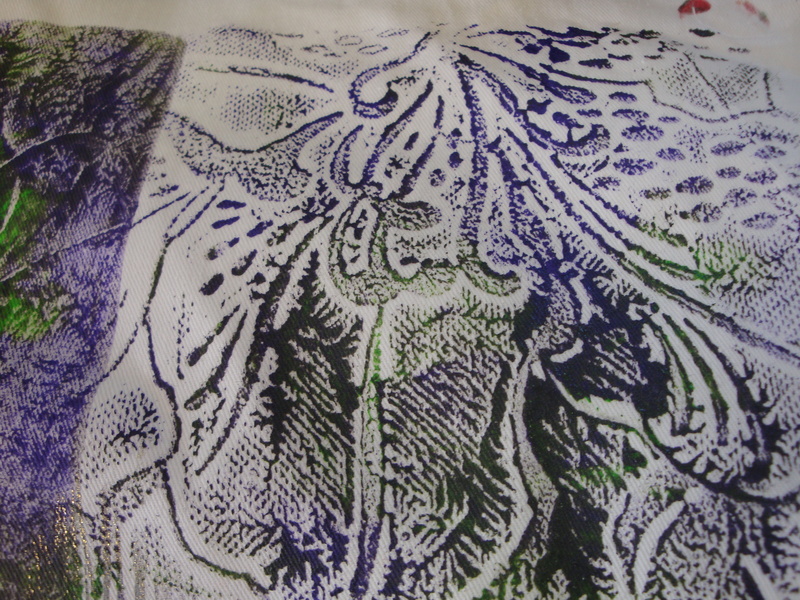 The children will get to experience different ways of adding colour to paper and fabric. Refreshments included but bring a picnic. Sit outside and watch the fish jumping in the pond, say hello to the sheep, ducks and chickens. A responsible adult must be present due to the large pond and safety. Discount given if more than one child per family. We have just had the most fantastic weekend with the lovely Amanda Hislop who taught us how to make wonderful stitched scenes using scraps, inks, acrylic paints, walnut ink, paper, gesso, machine and hand stitch. We were a little worried when Amanda told us we would be drawing using just line but all that meant was getting your pen and literally drawing lines across the pages in a flowing line just like you see as a landscape horizon. But the best bit was when she told us to fold our pages and then cut them and we all made little books. Amanda is returning next year for another two day workshop. Book early so you do not miss out. 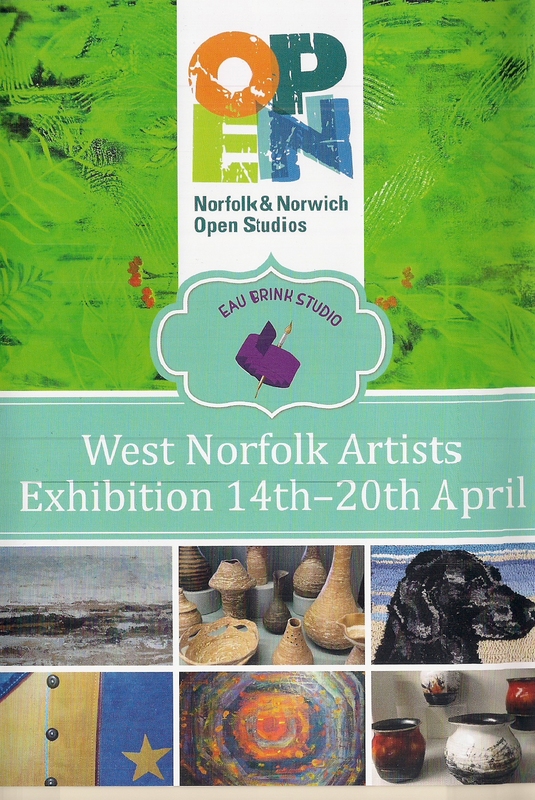 West Norfolk artists have been arriving at the studio today bringing in their work. More will be arriving in the morning. We will be open for the preview tomorrow evening from 18.00 till 22.00. Why not come along and meet the Artists? We are then open from 10.00 till 19.00 each day until Thursday 20th when the exhibition closes at 19.00. Off road parking, Ramp for wheelchair users. Refreshments available. To book any of the workshops at Eau Brink Studio just go to the website www.eaubrinkstudio.co.uk and look at the workshop page then go to contacts and scroll down to the bottom of the page and pick the workshop you wish to book. Its quick and easy. At some point it will be moved to the workshop page. Just a quick note to say that a new booking system should be live in the next 24 hours. There should be a booking button appear on the website and you can self book all your workshops and pay through paypal. If yo do not use Paypal just give me a quick call or email and I will book you in once payment has been received.